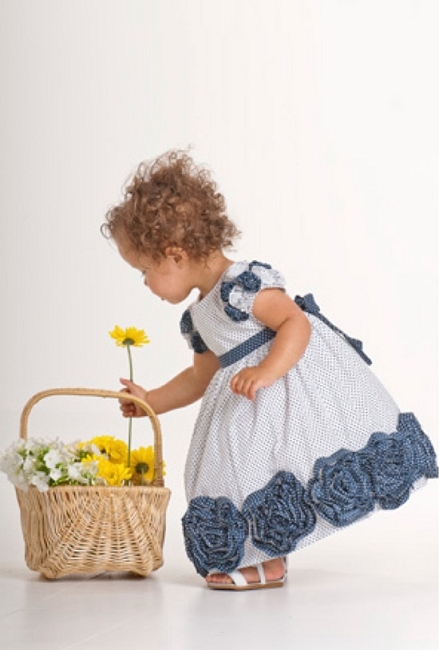 Biscotti Dresses- Sweet little blue and white dress by Biscotti. This sweet dress has an empire waist and sweet rosette hem trim. This "Ship Shape" dress is now shipping.